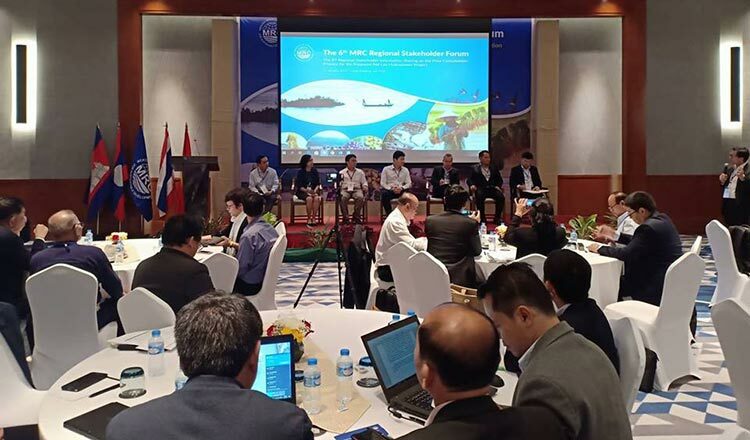 Member countries of the Mekong River Commission have sent a request to the Lao government to carry out thorough impact studies prior to the construction of the Pak Lay hydropower dam in order to minimise risks in the future. Last year, the Lao government suspended the approval of new dams after the collapse of the Se-Pian Se Nam Noi hydropower dam caused dozens of deaths and left scores missing. Watt Botkosal, deputy secretary-general of the Cambodia National Mekong Committee, yesterday said during an MRC forum in Luang Probang, Laos, that the proposed dam is about 1,000 kilometres away from Cambodia and that the Lao government needs to conduct thorough assessments with MRC member countries before breaking ground. “A dam sometimes poses a risk when it collapses because it would bring raging water downstream,” he added. He noted that before proceeding, the Lao government and its development partners must avoid all potential disasters, such as the collapse of the dam last year. Satit Phiromchai, a representative of the Thai National Mekong Committee Secretariat, yesterday said the Thai government is also concerned about the impacts of the dam on fish, agriculture and Thailand’s economy. Phakkavanh Phissamay, deputy director-general of Laos’ Environment Ministry’s natural resources department, yesterday said her government has carried out ten years of studies with a design firm and international consultants to lay a solid foundation for the Pay Lay hydropower project. Ms Phakkavanh said the Lao government has also complied with national and international guidelines prior to consultation with the MRC. “At the same time, we kindly ask stakeholders to understand and respect our views and roles, as well as the mandate of the MRC,” Ms Phakkavanh added. MRC CEO An Pich Hatda yesterday said the consultation process helps facilitate discussions between member countries and non-governmental institutions involved. According to the MRC, Pak Lay is the fourth out of eleven planned hydropower projects in the lower Mekong river.